The common drama united Jews and those who tried to stand against Holocaust. Particularly, indifferent people saved someone’s children even when they could not rescue their relatives. In fear of tortures they have not revealed the dislocation of comrades; they died but did not surrender. The damaged body served as the shelter for the fire of unbroken spirit. Even though the evidence touching the ground of Holocaust cannot be read without tears, everybody should know about that so as to avoid similar things in the future. January of 1933 is considered as the beginning of Holocaust as at this verily moment Hitler rose to power while the end of all-human disaster is believed to be the 8-th of May, 1945. 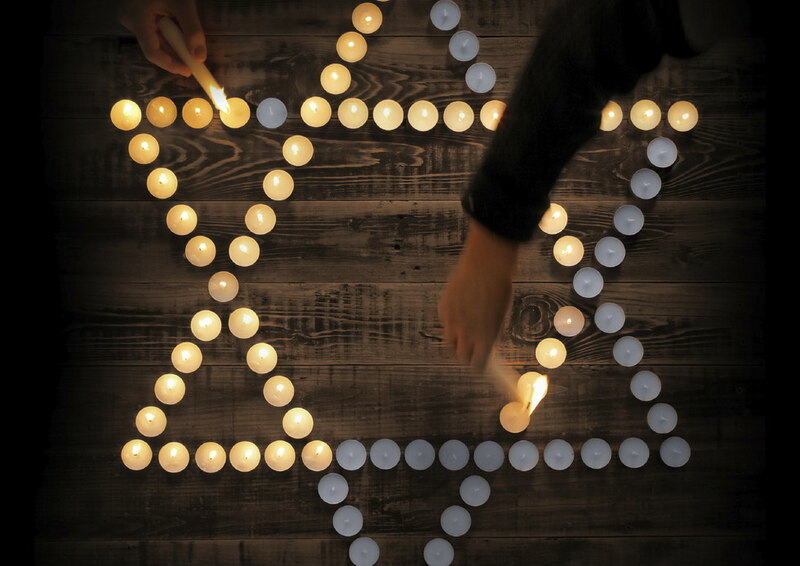 As the scientists consider, during the Holocaust nearly 60% Jews in Europe have been killed and the same indicator reaches nearly one-third of Jewish population in the world. The first time when Holocaust reminded of itself happened on the 1-st of April 1933 when Jews, in particular, businessmen, lawyers, and doctors were put to boycott. Then and there, the followers of national socialistic movement called for German boycott of enterprises owned by the people belonging to Jewish nationality. The house fronts were riddled with the posters outlining: ‘Jews are our unhappiness’ and ‘Do not buy goods from Jews’. In April of the same year in Kiel city furious youth with Nazi ideas in their heads killed Jewish lawyer. The reason of act was the revenge to Jewish journalists who criticized the activity of a new party that acclaimed its belonging to Arian nationality everywhere. The well-known figure of six million that became a representation of suffering is regularly revised upwards by historians. The number of Jews murdered all over the world reaches the scaring numbers of three million of people in Poland, 1.2 million Jews in Soviet Union, more than 500 thousand humans in Hungary. Then there were Romania (280 thousand), Germany (140 thousand), Holland (100 thousand), France and Czech Republic (80 thousand of killed people in each of the countries), Greece (65 thousand) and Yugoslavia (60 thousand). Fear and terror started from the so-called Night of broken glass when Nazi burned more than one thousand of synagogues and seven thousand of enterprises were destroyed. Hospitals, schools, and houses faced a wild assault of Nazi overnight into the 9-th of November, 1938. The beginning of official campaign of Holocaust could be confirmed by the fact of murder of 95 Jews and arrest of 30 thousand. Hitler was rather aware of the fact that without loyalty and support of masses he would not succeed. So as to conquer a love of nation, he had recourse to mass media in an expert manner. Apart from news which reflected the side profitable for Nazi, in 1940 the movie ‘The Wandering Jew’ came on the screens. Adding nonsensical facts and making influence on emotions, there pseudo-scholars claimed that Jews had not been able to give life to the offspring that is healthy from physical, mental, and cultural point of view. Nazi descended to raise a hand to children. For instance, the mentioned number of six million contains more than 1.1 millions of Jews who, indeed, have been children dead in concentration camps. Their death was horrible; particularly, most kids died in atrocious sufferings on the road in the camps of death suffocating in the cattle trucks, and those who were able to survive appeared in gas chambers upon arrival. The trip to concentration camp in the slat-side stock cars used to take nearly eighteen days. In these mobile cabs, there were neither ventilation nor toilets, and Nazi did not give food and beverages to people. Needless to say, when the doors of cab were opened, and corpses started falling out of it. Most Jews have been killed in concentration camp Auschwitz; particularly, the number of victims reached approximately one million of people. The so-called ‘factory of death’ considered as the hugest camp in Germany included three big complexes, among which were verily Auschwitz, Birkenau, and Monowitz. As the latest contained prisoners who built chemical plants, concerning Birkenau, there Nazi invented punitive combination ‘gas chamber plus crematorium’. In order to avoid panics among the prisoners, from times to times Nazi gave toys to children and bamboozled inapprehensive children into gas chambers. The doctors who collaborated with SS divisions, often used children as guinea pigs to prove the theories of illnesses. Nazi applied psychological methods to confirm adults that nothing atrocious occurred. For example, before herding Jews into gas chambers, Nazi asked them to take off the clothes for disinfection. Nazi frightened their victims with imaginary stories. For example, Jews who had been captured in Gestapo were told that after the death tormentors were going to make soap out of them. This fabricated story had been invented by Nazi so as to inflict anguish expecting for the painful death. Morris Hubert being a Jews having endured Holocaust gave an interview to the newspaper The New York Times where told about the abuses practiced in the largest German concentration camp situated in Buchenwald. There was a cage with bear and eagle. Every day Nazi chose a victim and locked in the cage where a bear ate him while eagle pecked his bones. For children who have not reached six years old a special kindergarten has been built. There was told strictly not to hit them for bad behavior to save body harmless for the further medical experiments. One more criteria according to which children were chosen was height. Tall kids were put in glass-houses while those who were shorter in height were sent in this Nazi analogue of kindergarten where convicted women had to take care of children. A lot of screws including doctors hated their work but they did not have enough courage to stand against the system. The absolute opposition to them was a doctor who got a nickname ‘uncle Mengele’ considered as one of the most cynical and cruel Nazi remained in history. He arranged medical experiments taking prisoners; particularly, he tried to prove that all the Jews acquire physical pathologies what make them unnecessary from the point of view of civilization. When he took into head to organize an analysis of eyeball he delivered an order to kill the whole families to receive material for his devilish investigations. Trying to understand the essence of tuberculosis, Mengele took children as test people, used chemicals and observed how the skin reacted and which concentration caused deafness. Mengele could be easily called as the devil incarnate as he managed to creep into children’s favor, fed them with sweets and before doing lethal injection told fairy-tales confirmed that nothing would go astray. Mengeleexpressedaspecialinteresttowardsthetwinsasthedoctortriedtounderstandwhatunusualtherewasintheirgenetics. Once he decided to recreate Siamese twins and sewed backs of two brothers who were not more than four years old. Their parents gave morphine to children having decided that in such a case death is more compassionate than pain. TheonlyfamilysurvivingastheresultoftheinvestigationsofdoctorMengelebecameJewsofdwarfishstature. A crazy interest of Mengele to genetics of dwarfs encouraged a special attachment of the doctor and, consequently, his intercession for life of one Jewish family. 18.What has been done with childrenAt the beginning of Holocaust Nazi killed newborn children as babies were sunk in metallic barrels, in general, within the sight of their mothers. Then, Nazi overviewed their own program and defined that decision on murder should have been taken on the basis of analysis of childish appearance. In a kid had fair hair and blue eyes that spoke for his belonging to Arian race, a newborn baby was taken away from his mother and sent to Germany for upbringing. The history saves the evidence of several terrifying crimes committed by female Nazi in concentration camps. For instance, one of those women is known as Irma Grese. A woman in her early twenties tortured Jews with such a systematic ingeniousness that acquired a nickname ‘Fair-haired devil’. She invented a plenty of torments for her own delectation organizing killings, baiting and selecting prisoners who had to go to gas chambers. Firstly Nazi used carbon oxide so as to poison their victims in gas chambers. In such a way, they could kill up to 200 people at once, and this figure seemed to be rather small in the eyes of Nazi. Human cruelty is damnably imaginative, and afterwards a new way of mortification was invented. Zyklon B represented adsorbent with hydrocyanic acid, and poison capsules were thrown to camera through ventilation. Taking into account the fact doors were locked this chemical weapon killed two thousand people staying in one chamber. By some quirk of fate, the inventor of lethal spheres Zyklon B Fritz Haber was Jewish, and after Hitler came to power Haber left Germany moving to Switzerland. Even though he was able to save himself, many relatives of him suffocated in gas chambers. According to information acquired by American and Canadian journalists, Hitler paid fifty marks to every doctor who did injection of death to a Jew. It has been reported that hunting for money in 1942 Nazi doctors killed 2.2 million Jews. There is German poster remained that confirmed the killings of ill Jews: ‘This ill person being alive costs 60 thousand Reichsmarks of nation. Oh citizen, it is your money!’ This is how appeared a movement called as Tiergartenstraße 4 (short for T-4). Upon this address there was tthe main office where permissions to make euthanasia were given. ‘Death out of pity’ was a program of human murders intended for those who suffered because of physical and mental diseases as well as physically challenged people not to mention those who were ill more than five years. Hereafter, in accordance with this program it was intended to kill not only ill people but also children in the age younger than three years old. Nazi required so that Jews could sew bandage to the clothes depicting yellow star resembling the star of David. This measure was fulfilled to simplify orientation at the occupied territories. Depiction of the sign varied depending on the Nazi wishes. For instance, in Amsterdam Hitler’s forces followed people with distinctive sign ’J’ (Jude). In Warsaw concentration camp convicted people wore white bandages at the sleeves with blue six-point star while in Minsk ghetto prisoners has stamps of bandages at the chest and back. As Hitler said, this features had to be called Schandband what is translated from German as the ‘bandage of shame’. It is considered that the biggest number of Jews had been killed in September 1941 in Kyiv in location called as Babi Yar. 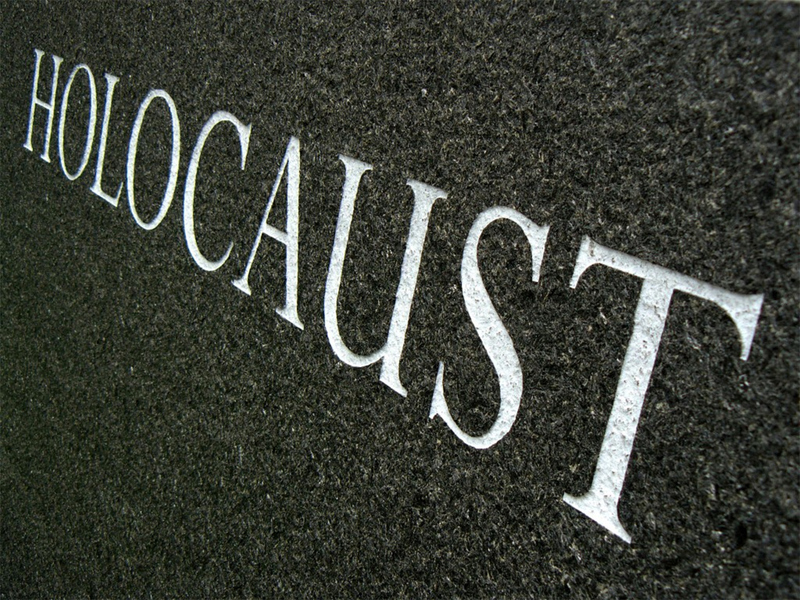 During two days Nazi shot 33 771 people. Meanwhile, it is unknown how many children not reaching the age of three years old had been killed. AmongfamouspersonalitieswhosefamilieshadbeentouchedbyHolocaustwaspsychoanalystSigmundFreud. A year before his death Nazi came to Austria, and authority committed several house-checks in his house while his daughter was called at the various interrogations. In change of freedom for the whole family Freud was required to sign a document making it evident that Nazi had not made harm to the psychoanalyst. It was said that in response Freud spoke ironically: ‘Should I recommend Gestapo to everyone?’Perhaps, Nazi did not understand a subtle irony and, finally, Freud was allowed to leave the borders of Austria. However, four sisters of him who stayed in the country died in the torments committed by Gestapo, and many books of Freud who was a Jew were burned at the stake by Nazi.